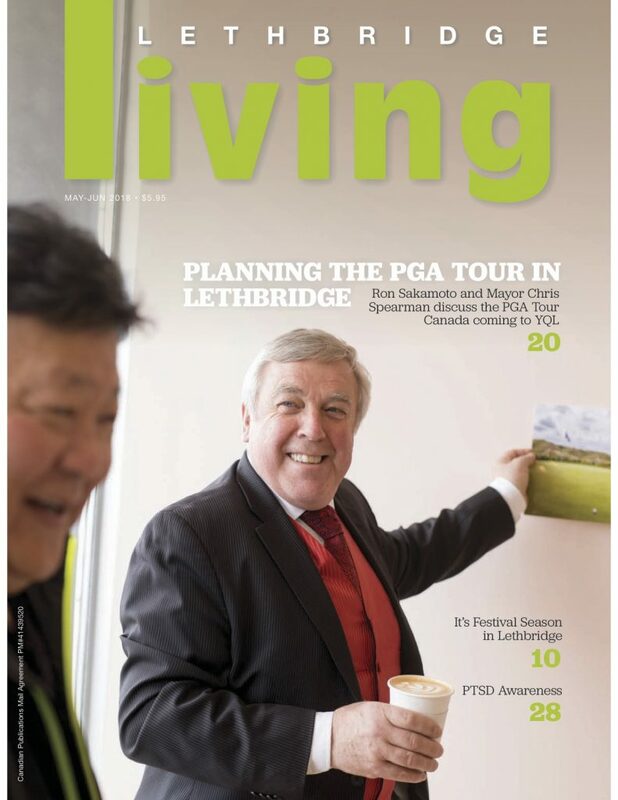 For nearly 25 years Lethbridge Living magazine has been connecting the Southern Alberta community through stories about the city and its people. On a busy Saturday when people are out running errands, the yellow stands sometimes have to be refilled two or three times. “It has the longest history of any glossy magazine in the area,” says new owner Dana Inkster, who took over the magazine in September of 2017. Inkster says she intends to “listen and learn” to fully appreciate and deliver on the expectations of the community, and is eager to put her expertise in documentary film and storytelling to work, honouring the community, and engaging in dialogue that uncovers the unique experiences of Lethbridge life. “It’s not about me, it is about my neighbours and members of my community,” she explains, seeing her new role as a “cheerleader” for Lethbridge and the diverse stories in the city. Shortly after purchasing Lethbridge Living, Inkster threw a party at Galt Museum, inviting the whole community to both celebrate the past and look to the future. Commemoration of the magazine’s history will continue in 2019 as it pays tribute to its silver anniversary, looking back to its early days, founded by the then mayor of the town in 1994, to its latest chapter, today, owned by a proud mother, who is also a black woman and a lesbian. Nestled in southwest Alberta, the community of nearly 100,000 has plenty of important stories and news that locals want to read and share. “The whole story is complete within the confines of our region,” Inkster says. To engage with younger readers, Inkster has established a scholarship for students who are pursuing a double major in new media and business, who, she hopes, will complete internships with the magazine, sharing fresh media ideas and taking away entrepreneurial lessons. The magazine is also exploring how best to support local charities. Having received a great deal of support from the community, Inkster says it is important that the magazine now gives back. With a new website now live that embraces the digital social scene, Inkster says she intends for Lethbridge Living to continue to honour the city and reflect its investment in arts, culture, recreation and education, and tell stories important to the community. “For Lethbridge Living, storytelling is the engine that drives the magazine, makes it a valued entity in the community,” she says. Spotlight written and interview conducted by Janaia Hutzal.